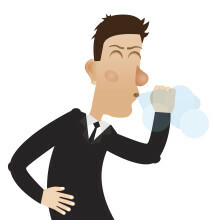 A violent sneeze can spray clouds of fluids containing hundreds of viruses from a person’s nose and mouth that will travel up to eight meters (26.2 feet), according to MIT scientists, but an efficient air purifier with Hepa filter could help reduce the risk of infection, says air purification specialist Blueair. 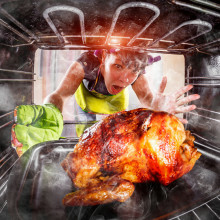 People planning to cook up a storm for family and friends in the kitchen during the festive season may want to make sure their kitchens are well ventilated to avoid creating poor indoor air quality. 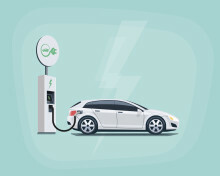 Les études internationales ont démontré que les particules polluantes industrielles et des transports appauvrissent la qualité de l'air des villes du monde entier, avec des répercussions nuisibles sur la santé humaine. Mais si notre influence sur la pollution des rues est limitée, nous pouvons cependant créer des havres d'intérieur plus sains, explique Blueair. International studies show city air quality is worsening all over the world due to airborne particles from transport and industrial emissions that also impact human health. But while most people are powerless to influence street-side pollution, it is within their power to create safer indoor havens, says ​Blueair, a world leader in innovating highly efficient air purifying solutions. Alors que la Ville Lumière européenne s’obscurcit sous un lourd manteau de pollution atmosphérique, les Parisiens sont aujourd'hui assidûment à l'écoute des prévisions quotidiennes sur la pollution de l'air, et sont amenés à éviter les activités physiques de plein air, et à sécuriser l'intérieur de leurs habitations. 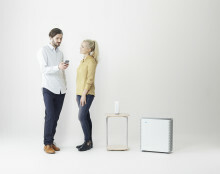 Parisians should make it a daily habit to check air pollution forecasts, avoid exercising or playing outside during high pollution alerts and create safe indoor air environments to avoid the consequences of breathing toxic air, says Blueair in response to news that the City of Light is under threat from increasing air pollution. 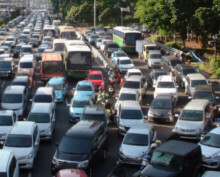 Blueair today said a decision by the mayors of Paris, Mexico City, Madrid and Athens to clamp down on diesel fuel use is a significant step forward in tackling air pollution and traffic. Bengt Rittri, who has seen the company he founded 20 years ago become a world air purification leader, said he applauds every initiative that can help reduce the impact of air pollution on people's health. Visiting or staying in Indian? 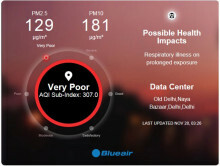 Blueair has partnered with India's #Breathe on Twitter, allowing people to get near instant, real time live air quality updates in India's biggest cities with just a simple tweet! India's Minister for Transport and Highways, Mr. Nitin Gadkari met with Blueair founder and CEO Bengt Rittri to discuss the company's newly-launched 'Clean air for everyone' program in India. Blueair has appealed on governments and health agencies worldwide to spead more awareness about the risks of Chronic Obstructive Pulmonary Disease (COPD) and the ways the disease can be avoided or treated. 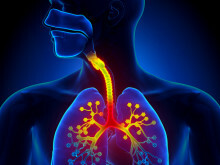 Over 235 million children, women and men around the world suffer asthma. Now a new American report says that purifying indoor air may help children with asthma avoid attacks and that reducing exposure to pollutants and allergens may be as effective as medications in controlling the respiratory disease.